Tin Whistle notes for the traditional Christmas song, We Wish You A Merry Christmas, for D Tin Whistle. Tin Whistle notes for the traditional Christmas Carol, O Christmas Tree, for D Tin Whistle. Tin Whistle notes for the traditional Christmas Carol, Away in a Manger, for D Tin Whistle. Tin Whistle notes for the traditional Christmas Carol, Angels We Have Heard On High, for D Tin Whistle. Tin Whistle notes for the traditional Christmas song, When A Child Is Born, for D Tin Whistle. 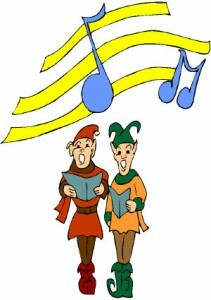 A more comprehensive version of Tin Whistle notes for the traditional Christmas song, Jingle Bells, for D Tin Whistle. Tin Whistle notes for the traditional Christmas song, Jingle Bells, for D Tin Whistle. Tin Whistle notes for the traditional Christmas song, Rudolph the Red-Nosed Reindeer. Tin Whistle note for the traditional christmas Carol, Ding Dong Merrily On High, for D Tin Whistle. Tin Whistle notes for the traditional Christmas song, Jolly Old Saint Nicholas.